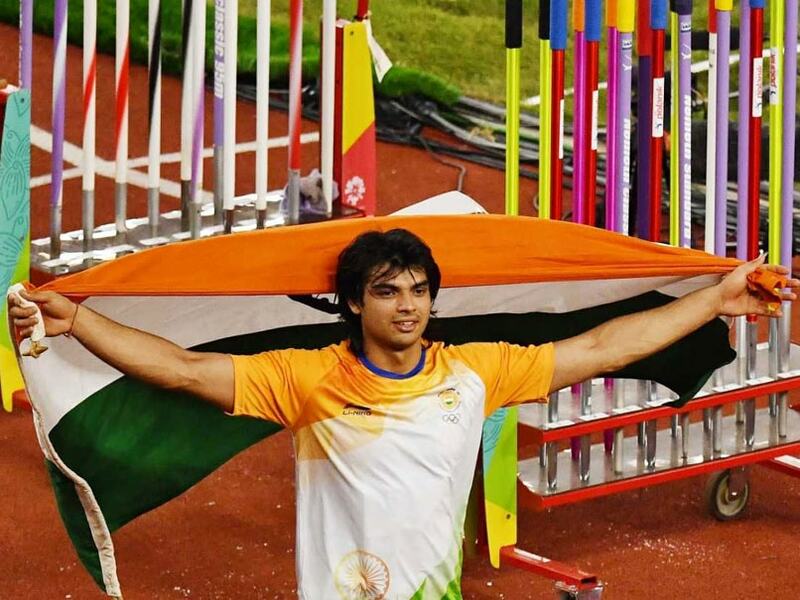 Neeraj Chopra threw 88.06 metres in his third attempt to clinch the gold. 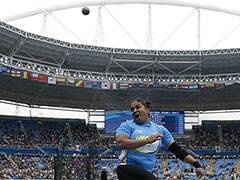 Farmer's son Neeraj Chopra harvested another record-smashing gold in javelin throw as India's track-and-field athletes delivered a clutch of medals, while badminton ace PV Sindhu advanced to a historic final on a brilliant day for India at the 18th Asian Games. Neeraj's gold and three other athletics silver medals, along with Saina Nehwal's badminton singles bronze, propelled India's overall medal count to 41 (8 gold, 13 silver, and 20 bronze). Considered the biggest star in Indian athletics right now, junior world champion Neeraj delieverd on the massive expectations in style, throwing the spear to a brand new personal best of 88.06m and leaving the field behind by quite a distance. Joining him in the record books was PV Sindhu, who became the first shuttler to make the Asian Games badminton singles final. She defeated Akane Yamaguchi 21-17 15-21 21-10 for her second win over the Japanese at the Asian Games, having beaten her in the team championship as well. Sindhu will now fight it out with Tai Tzu-Ying to claim India's first ever individual gold in badminton. Tai ended Saina's run in the semifinals, which fetched the seasoned Indian her maiden Asiad bronze. "I have a strategy in place for her. It should be a good match," said world No.3 Sindhu, who has not beaten Tai in their last five meetings. There was plenty of silver to celebrate as well, all of it coming from the athletics arena. Sudha Singh (women's 300m steeplechase), Neena Varakil (women's long jump) and Dharun Ayyasamy (men's 400m hurdles) came second in their respective events. Ayyasamy clocked 48.96 seconds to shatter his own national record and finish behind Qatar's Abderrahman Samba who won the gold with a Games record time of 47.66. "My father passed away when I was eight years old. My mother has made a lot of sacrifices for me. I owe her this. She is still earning just Rs 14,000 per month as a teacher," said the 21-year-old from Tirupur in Tamil Nadu, who is hoping to get a job now. Varakil's best jump of 6.51m came in the fourth attempt, which was enough to fetch her the silver. Veteran Sudha clocked 9:40.03 seconds to win her second Asian Games medal after the 2010 Guangzhou edition gold in the same event. But the man of the moment was Neeraj, the son of a farmer from Panipat who has caught the nation's imagination with his exploits. The 20-year-old, who claimed a gold at the Commonwealth Games earlier this year, had managed a gold medal throw from his very first attempt-- an effort of 83.46m effort. In the end, he was only competing against himself and he made sure that he gave the best account of himself. On the hockey field, the women's team followed the men into the semifinals. Skipper Rani Rampal scored a hat-trick as the title contenders outplayed Thailand 5-0 to go into the semis undefeated. It was a reasonably good day for the boxers as well with Commonwealth Games medal-winning duo of Vikas Krishan (75kg) and Amit Panghal (49kg) advancing to the quarterfinals along with Dheeraj Rangi. Vikas out-ounched Pakistan's Tanveer Ahmed in his pre-quarterfinal bout before Amit recovered from a rusty start to outwit Mongolia's Enkhmandakh Kharhuu -- both the wins being unanimous verdicts. Later, national champion Dheeraj Rangi (64kg) defeated Mongolia's Nurlan Kobashev to also be one win away from a guaranteed medal. However, Commonwealth Games bronze-winner Mohammed Husammuddin (56kg) lost a close contest against Kyrgyzstan's Enkh-Amar Kharkhuu to bow out of the competition in the pre-quarterfinal stage. The squash players also made a winning start in the team events. The men beat Indonesia 3-0 in the morning before overwhelming Singapore by the same margin. 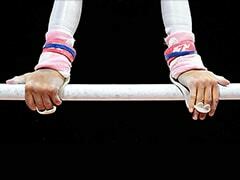 The women, who had only one match, defeated Iran 3-0. However, cycling and karate did not throw up good results for India. In cycling, both the men's and women's sprint and pursuit teams failed to qualify for the final rounds. In the team sprint events, the two teams finished seventh in the qualification round out of eight participants. India did not have a single winner in the karate competition. In volleyball, the Indian women's team ended its campaign after losing 0-3 to China in the last Pool B match. In a 67-minute match, India lost 18-25 19-25 9-25 to China, who remained unbeaten in the pool stage. Already out of reckoning, the Indian men's speaktakraw team ended its campaign on a positive note, beating Nepal 2-0 in the last group B regu match.